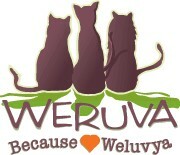 WERUVA founders Stacie and David Forman were inspired by their three rescued cats, Webster, Rudi, and Vanessa, to create a cat food that they would feel comfortable feeding to their own pets. WERUVA uses base proteins of chicken, beef, and fish and includes only top-quality meat. Add fresh vegetables and other unique ingredients like tilapia and calamari and you end up with a meal that is perfect for your pet. WERUVA pet foods are low-carb and low-fat with a low-ash content. And the proteins used in their products are always fit for human consumption. 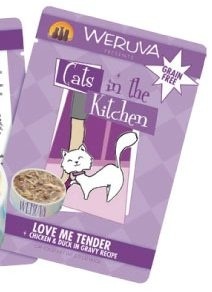 Cats in the Kitchen is a grain-free cat food line from Weruva. All Weruva's formulas are produced in a human food facility using many of the ingredients and processes that are used in products made for people. 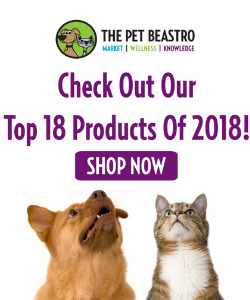 Their ingredients also maintain a natural look and recognizable texture, which allows the pet owner to see and understand the ingredients. So what you see is truly what you get!